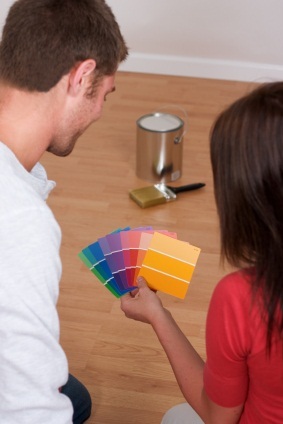 Looking for a Painter in White Bear Township, Minnesota? Elite Finisher Inc. has been proudly painting White Bear Township homes and businesses since 2008. Whether you're looking for interior painting or exterior painting in White Bear Township, count on Elite Finisher Inc. for the highest caliber of service! When it comes to high quality painting in White Bear Township Minnesota at an affordable price, no one beats Elite Finisher Inc.'s experienced painters. If you have ever tried painting yourself, you know that it's not an easy task. Painting is both a skill and an art. That's why Elite Finisher Inc.'s professional White Bear Township painters each have over 11 years of experience painting White Bear Township homes and businesses to ensure the job is done right and to your exact specifications. When you're looking for superior results, call Elite Finisher Inc. first! We've been painting White Bear Township since 2008. 5★★★★★ - "You did a great job on the ceilings. Thank you! " 5★★★★★ - "Elite Finisher is top notch. Very professional crew that is on time and respects your space. I would recommend this company to anyone." 5★★★★★ - "Eli and his team run a tight ship. He has done various jobs for me both in private / home settings and industrial settings. They have no problem with project managing large jobs and is very well suited for large homes and buildings." 5★★★★★ - "We found Elite Finishers to be accommodating and particular about their work. Their employees were prompt, neat and paid attention to details. They shared ideas about color schemes and designs, very helpful with achieving the overall look we were after." 5★★★★★ - "Your guys were courteous, neat, and flexible. They did a great job!" 5★★★★★ - "Excellent job with our garage painting! Not only did they turn this request around in 24 hours…but they answered and scheduled on a Sunday! Nothing but great things to say :)"
5★★★★★ - "I was very happy with my project and the professionalism of the painters. " 5★★★★★ - "Just wanted to send a note on how happy we were with how our painting project turned out using Elite Finishers. We would totally recommend Eli & Elite Finishers to anybody who is looking for small or large painting project. We were very pleased with how prompt & efficient Elite Finishers were from start to finish. Nice to find a contractor who cares about his customers & very flexible to work with. Our project started out with a very complete estimate and with full details & ended on budget too. The crew was always on time and here when expected - also very flexible, as we did out project in two stages and Eli was very accomodating to help us get our project dine within our time frame. Eli & his crew were very good and attention to detail and open to anything we needed changed, with no problems. We aboslutely loved how our whole project turned out and would definitely use Elite Finishers in the future." 5★★★★★ - "They did a fantastic job of painting our old wrought iron fence, restoring it to its former luster. This was no easy job since the fence was 300 feet of curved wire mesh with decorative pieces and lots of crevices. They managed to get it all completely sealed with a shiny black finish that will look lovely for years to come. We also appreciate the reasonable cost for this work. I would definitely recommend them." 5★★★★★ - "Elite Finisher was very professional and courteous. The job was done in a timely and efficient manner. Thank you Elite Finisher." 5★★★★★ - "Elite Finisher did a complete interior and exterior paint job on my home. I was so impressed with their skills and manners. They showed up when they said they would and they always kept me in the loop with the progress of the job. They made me feel confident that my house was being done by the best. That's when I knew my house was in good hands. They really cared about their work and it really showed. Workers like this are not easy to find, I have and will continue to highly recommend them to my friends and family." "Just wanted to send a note on how happy we were with how our painting project turned out using Elite Finishers. We would totally recommend Eli & Elite Finishers to anybody who is looking for small or large painting project. We were very pleased with how prompt & efficient Elite Finishers were from start to finish. Nice to find a contractor who cares about his customers & very flexible to work with. Our project started out with a very complete estimate and with full details & ended on budget too. The crew was always on-time, and here when expected - also very flexible, as we did our project in two stages and Eli was very accomadating to help us get our project done within our time frame. Eli & his crew were very good at attention to detail and open to anything we needed changed, with no problems. We absolutely loved how our whole project turned out and would definitely use Elite Finishers in the future.."
5★★★★★ - "I am writing this review in regards to an exterior paint job that we had done by Elite Finishers. Our home was chipping paint pretty bad and we needed the entire exterior to be painted. They power washed it really good and used the best quality paint. The workers were so friendly and they definitely care about their work. I look forward to my next project with Elite Finishers." 5★★★★★ - "They refinished our kitchen and laundry room cabinets. Eli and his team are very professional. They are perfectionists and went above and beyond the call of duty to do a really good job. They were very responsive and cleaned up well after themselves. It was really a pleasure to work with them and we highly recommend them to others."